This is the book that first got me interested over 30 years ago! It has been out of print for many years, but I have managed to collect some second-hand copies. So they are not all in brand new condition, but pretty good and useable. 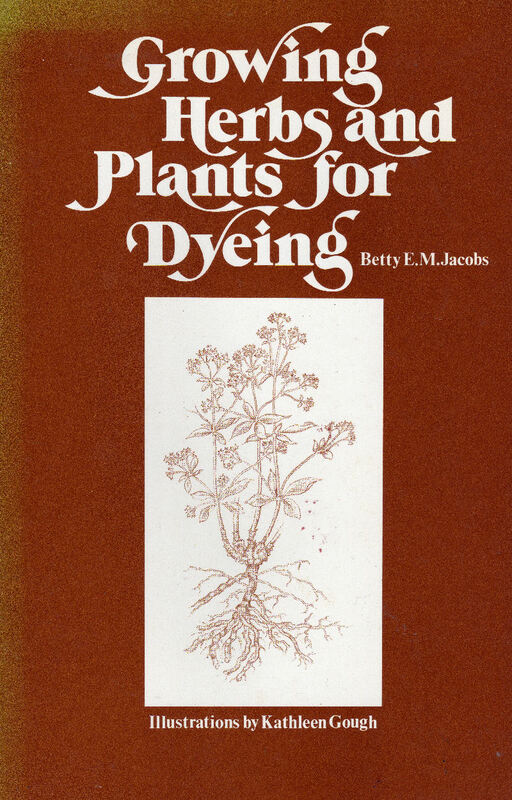 Betty E.M. Jacobs' book contains useful, easy-to-follow sections on how to dye using a basic method, and the simultaneous dyeing method, how to use different mordants,etc. There are pages for each plant including how to grow and which parts to harvest. 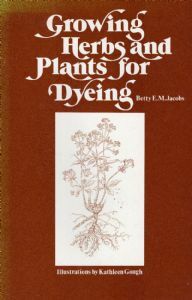 It also has recipes for some unusual plants like Ragwort, spent tomato vines and yellow flag iris, as well as the more familiar dye plants like Woad, Madder and Weld.